This week, I'm playing along with my Silhouette Challenge buddies to share projects featuring PAPER. I think Paper Dolls are the perfect paper project, don't you? I used the Tiny Princesses download from Lettering Delights. For each image, I did a Print & Cut on Whisper White cardstock. It didn't seem like the dolls would be sturdy enough, so I cut a backing for each image from lightweight chipboard and layered them together. The dolls have 2 sets of clothing. This set is more "casual". And this set is more "dressy" and princess-y. I added Dazzling Diamonds glitter to the dresses and crowns to make them sparkle. I wanted to create a storage case for the dolls and the clothing. I used one of the clear stamp cases, designed a castle image for the front, and made some envelopes to hold the clothes. The castle is another Print & Cut. The letters were cut from Silver Glimmer Paper and Basic Black cardstock. The mini envelopes were created using the Envelope Punch Board and Soft Subtles Designer Series Paper. I hope you've enjoyed my Paper Dolls and are inspired to create your own. You can subscribe to my blog, LIKE my Facebook page, or follow me on Pinterest by clicking on any of the buttons in the right column. Welcome to my blog! My name is Melissa Stout and I wear lots of hats......wife, mom, chiropractor, and Stampin' Up! demonstrator. However you found me, I'm so glad you made it! Sit back, relax and take a look around. Enjoy! 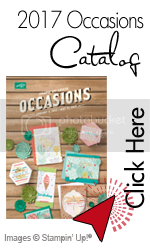 Copyright Notice: Images © Stampin' Up!® 1990-2016. 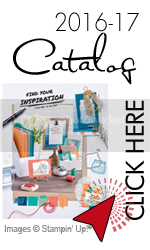 This is a personal web site of Melissa Stout, an Independent Stampin' Up! Demonstrator, and I am responsible for its content. Stampin' Up! does not endorse the use of or contents of the classes, services, or non-Stampin' Up! products I may offer here. Content shared on this site has been posted for personal use only and should not be copied and/or published without written permission. Thank you.